Getting kids to clean can be a difficult challenge. Kids would much rather be doing something fun then helping out cleaning the house. When you homeschool and the kids are in the house while your cleaning which means if they are not helping they are off making messes that will then need to be cleaned up. 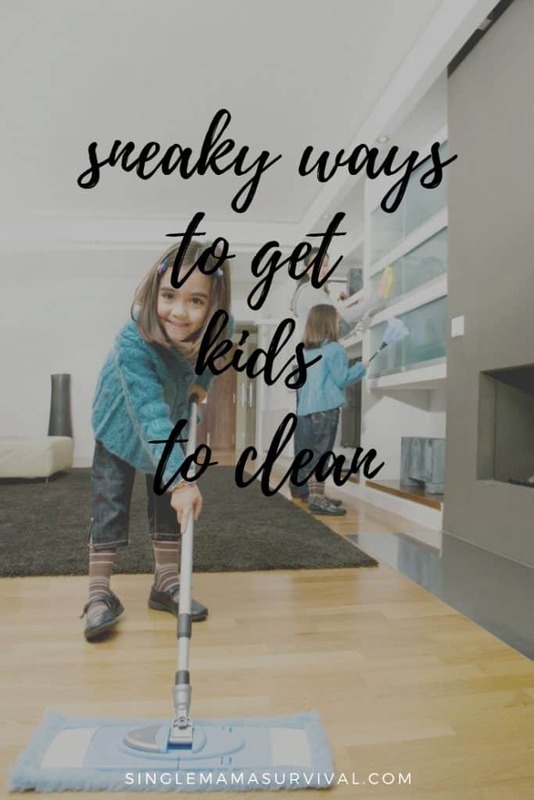 Here are a few fun sneaky ways to get kids to clean. If you want a fun sensory activity that will clean at the same time spray shaving on the shower wall. Have young kids pant with their hands running the shaving cream everywhere. a couple drops of food coloring will make it even more fun. The shaving cream will break down grime and soap scum then rinses away clean when they are done playing. Kids love a good race. Give each child a small bag and challenge them to a race picking up items that are out of place around the house. the first person to fill their basket wins. Offer a small reward for the winner and they are bound to give it their all. This is a great trick when someone tells you they will be over in a few minutes. Use a little psychology trick on your kids to get them to clean bet them they cant do or finish a task you give them. This task needs to be something you know they can do. When the succeed tell them how you were wrong and you are so proud of them. This not only gets the task done but builds your child’s confidence and makes them want to do it because it is always fun to prove your parents wrong.